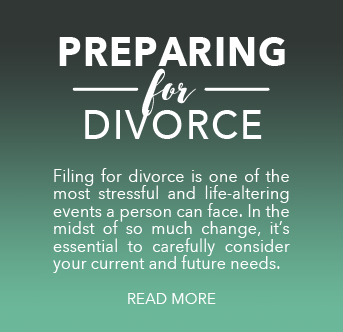 Prepare for child custody, financial settlements and emotional support issues in advance and begin making decisions using the divorce action plan template provided. Frequent professional appointments can be expensive and cost you time away from work. Get educated about the divorce process from the comfort of home, on your schedule. Learn how to pursue a child custody arrangement that works for you and your child. Steps you can take to seek a fair financial settlement that meets your current and future needs. Questions you should ask today to meet your family’s unique needs and achieve your goals for the future—even after divorce. 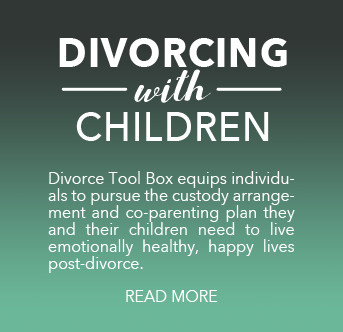 Learn how Divorce Tool Box can assist both individuals and legal professionals in achieving satisfactory results in an efficient, less stressful way. Client preparation is key. Divorce Tool Box founder Audrey Silcox has years of experience helping families as a divorce mediator and as a counselor. Let us put that experience to work for you. At Divorce Tool Box, we realize that most people enter into the divorce process under great stress and with very little information. They are asked to make major decisions about the future—for themselves and their children—with few practical tools for making informed, thoughtful choices. As a result, very few experience a “successful” divorce: one in which they achieve a settlement agreement that meets the needs of the family over the long term. Through web-based video sessions, Divorce Tool Box equips both men and women to approach various aspects of divorce thoughtfully. Individuals who use our program are better prepared to partner with an attorney, mediator or counselor, providing the information and insight necessary to achieve a satisfactory legal result. Our Company has partnered with attorneys and other professionals to integrate our program into their client services. If you received a professional coupon code from someone assisting you with your divorce, please click here for instructions on redeeming it. 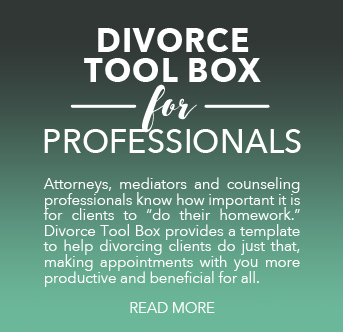 Divorce Tool Box bridges the gap between the mental health and legal communities, helping those experiencing divorce to navigate a difficult process with greater confidence, and with greater success.